Reminiscent of the base camps used by ancient explorers many years ago, Dedon‘s latest City Camp collection offers a luxurious, comfy hideaway in your own garden. 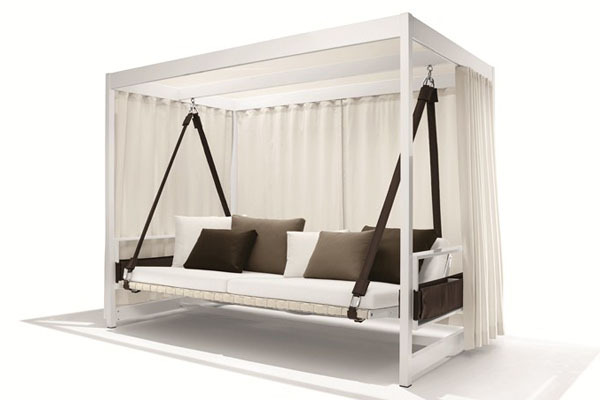 This weatherproof product would definitely be a welcomed addition to any outdoor space in the Caribbean or Southern Sate – in fact having one of these would mean you probably staying out all day stretched out with a book in hand. Conceptualised by Austrian designer Annette Hinterwirth, the City Camp presents a fun new way to gather with friends or family (it can accommodate five or six adults) – or even to retreat into your own ‘happy place’ when you need a little time out. Annette describes it as ‘your shelter, a place to eat, drink, relax, sleep or just be…wherever you are, by the sea, on the beach or on a metropolitan rooftop‘. Similar to the idea of a summer house, if the weather is good it can also come in handy as an outdoor guest bedroom, should you be expecting a larger crowd during the holidays. 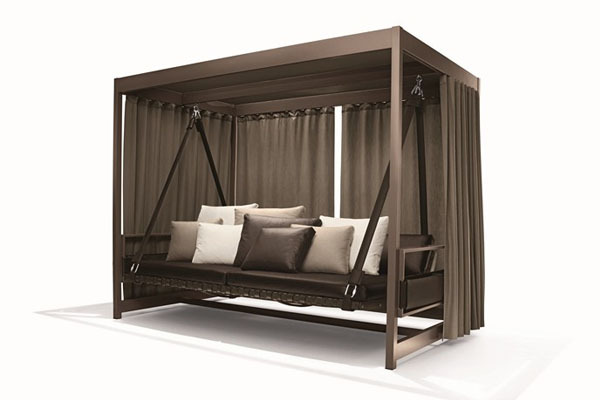 Available in two different designs – a four-poster double daybed and a sprawling four-poster garden swing – the choice is yours as to how you want to relax and recharge. Made with a powder-coated frame, both versions include useful wrap-around curtains for privacy and shade, several cushions for added comfort, stylish leather belts for easy transportation, and also showcase Dedon’s beautifully woven handiwork. 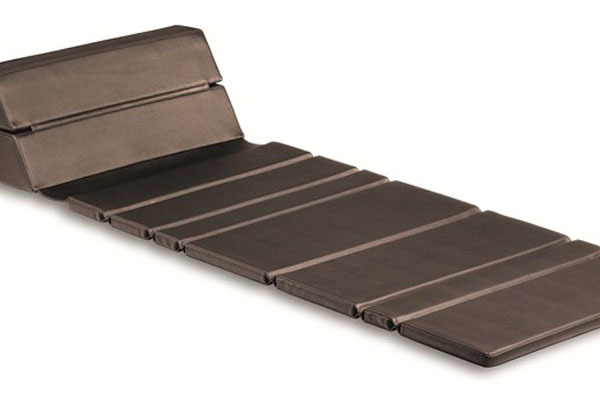 If outdoor dining is what you’re after, the daybed option comes with a lovely table, perfect for al fresco meals. 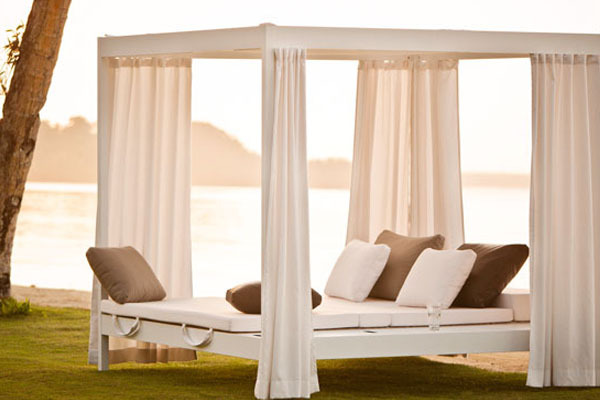 The Dedon City is available from our outdoor furniture showroom in Miami, these items are certainly investment pieces.